"For its in giving that we recieve"
When you donate to Faith Foundation, you join our cause in changing children's lives by giving them an education, you impact women and mothers lives tremendously. No mater how little or big your donation might be, it can change their lives. 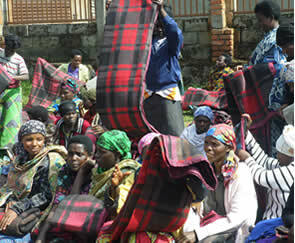 Be part of our cause and help us give hope to the hopeless. Education is life in itself. And for these vulnerable children it is a way to give them hope and a better future. 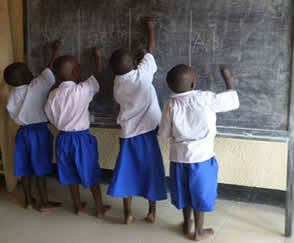 Whilst Faith Foundation provides childhood development programme that supports children from the age of 4-5years. We would appreciate any support and donation provided to us in order to further this cause. Would you like to sponspor any of our scholars? Would you like to give a hand in any sort of way? Please contact us. Support a woman, support a nation. Women are the mothers of our nation. Giving them a hand is a gift that gives in itself. 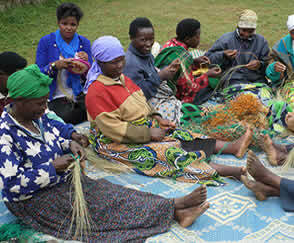 We have set up Income generating activities, such as basket weaving to help them be more self reliant and independent. Help further this cause by buying, their beautifully hand made baskets, materials to for weaving, working with them and encouraging them. Any help is highly appreciated. After all, lots of littles make big. Contact us if you would like to give a hand. "Love is to take care, to protect and to nourish."